White Knight: Good M- *cough cough* *Ahem* Good Morning to you all. Where is the criminal gentleman I’m meant to be battling? Roderick: Right here. Tristan of the Ravenwood. That’s me. Tristan. White Knight: Well met, young knight. I look forward to the honor of a righteous battle. Roderick: You’re going down old man. Tristan: This is terrible, we have to stop this. Tristan: The White Knight is a feeble old man. Roderick can’t fight him! Saffron: This is great Per! The White Knight is a scarecrow of brittle old bones. Roderick just has to sneeze on him and he’ll collapse on the spot. Themis: The White Knight is merely….experienced. And perhaps Roderick could simply knock him down and force him to yield. Tristan: He looks so frail. He might break a hip or something. And we can’t treat our elders this way, we have to treat them with respect. Saffron: That’s a narrow-minded human concept. Old people are just as capable of being terrible as young people. Tristan: We have to forfeit! Saffron: Tristan, if you forfeit, then the executioner will kill you. And if you somehow survive that, then I’ll kill you. So sit down and keep quiet! Tristan: Roderick, you have to forfeit. Tristan: Your Honorable Majesty, that’s not Tristan. I’m Tristan. It’s an imposter out there in the arena. Queen of Hearts: Nonsense. Two arms, two legs, hair growing on the top of the scalp, not made of paper. He matches the exact description of Tristan of the Ravenwood. Queen of Hearts: So you do, are you related by any chance? Queen of Hearts: Then that explains it. Now please sit down, young man. You are blocking my view of the bloodbath. Tristan: Saffron, please tell her I’m Tristan. Saffron: What are you talking about Roderick? Peri: Gotta go, but I’m calling right back, okay? Saffron: No problem, I’m filming the whole thing. We can binge watch later. Peri: Hello, this Magic Support. Peri speaking. Mrs. Scorchington: Hello dear. This is Mrs. Scorchington. I work for Guardian Industries, do you know them? They’re that big security firm? I work in the dragon division. Peri: I’ve heard of it. Do you… need magic support? Mrs. Scorchington: Well dear, I’ve applied for help using the usual channels, making a wish and so on, but I felt they weren’t treating my case with the urgency I needed. So I threatened to burn the entire company to the ground. And that’s when they transferred me to you dear. Peri: Uh oh. Can you tell me about your situation please? Mrs. Scorchington: It’s like I said, I work for Guardian Industries. They’re a wonderful company. They let me bring my eggs to work and they have a lovely nursery for them. Well, yesterday I was guarding my assigned horde, when these two knights came along. They said they were looking for something called the Glamorica Scroll. I told them, and truthfully mind you, that I’ve never heard of such a thing. And I’ve certainly never guarded it. They wouldn’t believe me, and they insisted they go through. I gave my usual warning, in according to Guardian Industries protocol, and when they wouldn’t leave, I had to be tougher on them. Peri: You didn’t burn them, did you? Because if you did, then you might need a lawyer, not a godparent. Mrs. Scorchington: Oh no dear, I just blew a little sparks and it shooed them away. They seemed like such nice young men too. When I was a young dragon, knights would go rescuing people, not robbing respectable businesses! It’s such a shame. Now where was I? Peri: You shooed them away? Mrs. Scorchington: Right you are, dear. After I shooed away those knights, I go to check on my eggs and I find them gone! Peri: Oh no! How awful. Mrs. Scorchington: I’m was so upset, I set fire to the entire Wondering Woods and ate an entire jar of charcoal cookies. Peri: I understand, Charcoal Cookies are excellent comfort food. Don’t worry, Mrs. Scorchington, our team is the best there is. We’ll track down your eggs and return them safe and uncracked. Mrs. Scorchington: I knew I could count on you lovely ladies. So do you know who took my eggs? Peri: I have an idea. Mrs. Scorchington, do you know how the two knights heard of a Glamorica scroll? Mrs. Scorchington: Let’s see now… They insisted that they knew that the Glamorica Scroll was real, because they apprehended a group of thieving goblins. And they found the map to the Glamorica Scroll in their bags. Peri: I think the goblins planted the map hoping the knights would find it, then planned their egg-napping when you were distracted doing your job. Mrs. Scorchington: Goblins stole my babies? Peri: I know, it’s so mean! And so cliched! But we’re on to them and we’ve been tracking them down. Mrs. Scorchington: That’s so wonderful dear. Please do catch them as quickly as you can. If you don’t see my babies soon, I… I don’t know what I’ll do! But I will be enacting a swift and merciless revenge on everything under the sun, you can be sure of that dear. Peri: Don’t worry, Mrs. Scorchington, I’m going to call my best field agent right now. Mrs. Scorchington: That’s so sweet of you dear. I’m baking some charcoal cookies to replace the ones I finished off. I’ll send some along to you. Peri: Awww, that’s so nice! I love charcoal cookies. Bye Mrs. Scorchington, I’ll keep you updated. Saffron: Hi Peri. What’s up? Peri: I know what the goblins are up to. They stole dragon eggs and they want to sell them to whoever is on the other side of that portal. Saffron: NO! Not cute little innocent dragon babies! Peri: I know, it’s so nefarious! So what’s going on on your end? Saffron: Roderick has the White Knight on the run. Literally. And Tristan is having kittens. Not literally. Peri: As long as he doesn’t do anything stupid. Saffron: The White Knight tripped over his own feet and fell down…. And HEY. TRISTAN. You get back here NOW. Saffron: That Tristan is taking the White Knight’s place? Yup. He did it. The little idiot did it. He convinced the White Knight to tag him in. Saffron: Eh, the Queen of Hearts is willing to let anything go if it makes her entertainment lastlonger. Eavesdrop spell activate! Roderick: Tristan, what the heck man? I’m doing you this huge favor, and you back-stab me like this? Tristan: I didn’t.... I mean... *whisper* I’m not going to hurt you or anything, I just couldn’t let you hit the old man. Can we just finish this as painlessly as possible please? Roderick: Ohhhh, I get it. *whisper* You’re taking the fall for the old guy? But uh, you know I have to make this look good, right? Tristan: Can’t you go a little easy on me? Saffron: Eavesdrop spell deactivate! (magic deactivating sound) Phew! I don’t want a close up of that beating. Peri: Poor Tristan. He’s too nice for his own good. Saffron: And a trouble magnet! Seriously Per, he attracts trouble like nothing I’ve ever seen before. And I babysat a changeling back in high school! It’s not normal, I think there’s something- EEP! Saffron: Tristan just got a mouthful of dirt. Roderick: I, Tristan of the Ravenwood. Totally Tristan and not anybody else, hereby ask you, uhhh…. Roderick: What? I can’t believe you - (angrily) I, Tristan of the Ravenwood, hereby ask you, RODERICK of the Ravenwood, to yield before this assembled crowd. Roderick: Say all our uncles! Tristan: All six of them? Roderick: Uh oh, my sword’s getting close to your face. Uh no, it’s slipping..
Peri: I don’t want to know! Saffron: (fast) But we forgot that Tristan is still wearing the armor, and he tried to shove Roderick a bit, but he had super strength and didn’t know it, so now Roderick is down! Peri: So Tristan won… which means… Tristan loses! Saffron: The hangman looks waayyy to beamish for my liking. He’s heading towards Roderick! Queen of Hearts: Tristan of the Ravenwood has lost the trial by combat. Off with his head. Manfred: You have to get through me first! Queen of Hearts: Then off with his head as well. Saffron: HEY! Stop oppressing Manfred, she- uh, he’s just living his authentic self! Now out of his way before I shred you all into confetti. Queen of Hearts: Then off with HER Head. Saffron: Bye Per, I got some battling to do! Themis: Saffron, Manfred, and a disoriented Roderick and Tristan are facing a squadron of card guards. It does not look good. Peri: And why aren’t you out there helping them? Themis: It doesn’t seem ethical to interfere with a foreign nation’s politics. Peri: WHAT? What happened to wanting to see Wonderland violently destroyed? Themis: I’ve had a change of conscience. What if I was wrong to completely dismiss Wonderland as a cesspool of corruption and tyranny? After all, Tristan has shown that they’re the only land that give animals fair opportunities. Like you said Peri, even Narnia, which has one of the highest rates of animals in the workforce, only hire the talking variety. Any animal that doesn’t speak English is deemed food. Saffron: Per? Is that you Per? Of course it is, who else would Themis be talking to? Giant mushroom cloud explosion, just like I said! I’m off to nab those goblins, get our words back and save those cutesy wittle dragon eggs! You can finish up here, right? Bye! Peri: You go take her place right this second! Peri: Tell the Gargoyles they’re needed in Wonderland immediately. They have to fly there NOW. Vasilisa: I’d love to help you Peri, really I would, but it's office hours and my students need me. Peri: If you deliver my message, then the gargoyles will be distracted, and you can get into the library. Vasilisa: Sorry students, but I prefer to be with books right now. You understand. Peri: Come on Saffron, answer! Computer Phone Voice: The number you are calling is out of range. 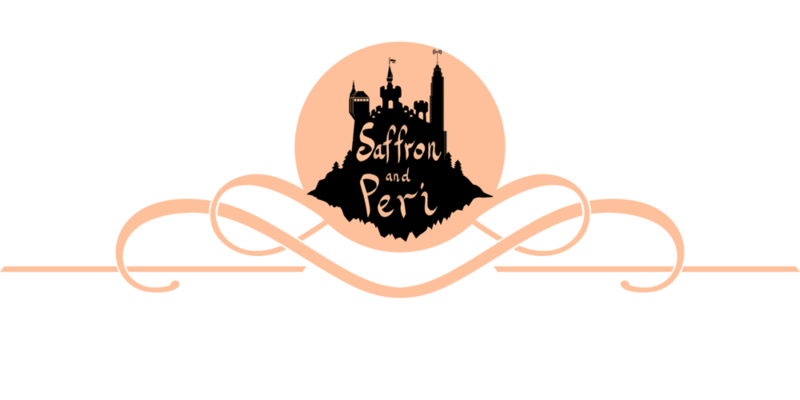 Peri: But Saffron’s phone plan covers everywhere in the world. Computer Phone Voice: Then the number you are calling is out of the world. Obviously. Peri: I’ve been trying to call you guys for ages! What happened? Tristan: Sorry for not calling earlier. It was… well… a mess. But everyone is okay. Everyone has their heads on. A gargoyle squadron came flying out of the sky. They had glasses, so I think they were the ones that usually guard the library? Anyway, they sat on the card guards, and they wouldn’t move until the Queen let us go. Then Roderick made a really bad rock beats paper joke, and they nearly arrested him for that. But we’re all okay. The Card Guards are only a little creased. We’re all heading home. Peri: *breathes out* Oh frabjous day! I’m so glad that everyone is alright. Have you seen Saffron? Tristan: No, I haven’t. I called her but I got this error warning. Peri: Goblins, is that you? Peri: Confess that you stole words, tricked gullible but well meaning knights, kidnapped dragon eggs, and smuggled them through a portal? A portal which you made without a license? Scoodie: Dark rocky angels came shwooping from the sky! Satchet: They sit on all the card guards! Peri: Uh yeah. The dark rocky angels want to know what happened to Saffron. Scoodie: The pretty fairy? Oooohhhh…. We did WRONG. Peri: What did you do? Scoodie: We let... the words... go back. Peri: The words? You mean our words? FIRE. Oh hey, nice. Oh wait, so that means that the portal spell...? Smock: Pretty fairy other side. Peri: Well then GET HER BACK! Scoodie: We can’t! We need fairy wings, and fairy wings are gone! Smock: We…. not sure exactly. Scoodie: Time to go now. Satchet: Confession so good for soul! Smock: Feel much better now! Bye Fire lady! Peri: Saffron, wherever you are, I will find you and I will get you back! Computer Phone voice: Sorry, you’re message could not be delivered.